This statement was issued April 3 by Durham, N.C., organizations. 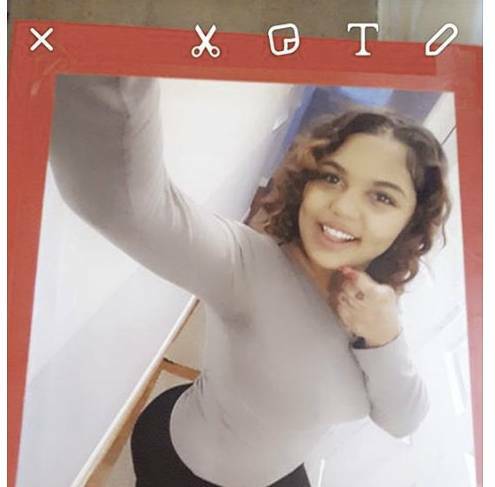 On March 23, we, as a community and family, lost 17-year-old Uniece “Niecey” Fennel to the Durham County [North Carolina] jail, and just two days later in Raleigh, 18-year-old José Humberto Lara-Pineda was also killed behind bars. As thousands of Black and Brown girls go missing from their families and communities across the nation, we are coming together to say unequivocally that they are not only missing, they are also missed. Niecey had a family that loves and misses her, and a community that will fight for her. We will not turn our back on young Black and Brown girls despite a State that constantly criminalizes them, locks them up, and always puts them on trial for the traumas they endure. Uniece Fennel will be loved and missed, and we will not allow her to be put on trial for her own death when we know that Sheriff Mike Andrews and the Durham County jail are the only killers in our city that threaten the safety of our community and children. Black and Brown girls are never free to be teenage girls. Talking back and staying out late, offenses that might would cost other girls a grounding, often land Black and Brown girls in jail cells. North Carolina is one of the only states that still tries 16- and 17-year-olds as adults, a practice which an authoritative majority of legal scholars across the board object to. Uniece Fennel was being wrongfully held as a child in an adult facility without a trial. Nobody deserves to die in a cage, and we will not be distracted by speculations about her charges. We do not and will not believe the State’s attempts to wipe their hands clean of Niecey’s blood or the blood of Matthew McCain, Dennis McMurray or José Humberto Lara-Pineda — detainees in N.C. county detention centers who were killed behind bars. We support the demand for an immediate independent people’s investigation of the circumstances surrounding the deaths of Uniece Fennel and José Lara-Pineda, including independent autopsies if possible. While we do not believe Uniece’s death was a suicide as the State claims — her mother and friends spoke to her hours before her death and she was laughing and in good spirits — we hold the State responsible for her death, whether it was a suicide or not. We have no reason, however, to believe that jail officials would not outright kill a detainee. This wouldn’t be the first time. Death by suicide in the Durham County jail is death by medical neglect and State violence. The Durham County jail is unsafe and lethal by virtue of being a jail, but even as jails go, the Durham County jail is, and historically has been, one of the most dangerous facilities in the South. Durham County jail detainees have historically suffered extreme medical neglect for issues of physical health. Detainees, who work long hours for less than 50 cents an hour and sometimes for free, are forced to pay $20 and wait hours on end for any type of medical attention, even to request an aspirin. The Durham County Sheriff’s Office quotes the number of attempted suicides in the county jail as 15 in 2015, 12 in 2016, and refuses to provide statistics for 2017 thus far. Uniece had the right to comprehensive mental health care, which includes not being locked up. Uniece is the fourth person since 2015 to die in the Durham County jail under the direction of Sheriff Mike Andrews. The Durham County jail does nothing but isolate, abuse, neglect and kill our friends and family. Though we don’t know the exact circumstances of Uniece’s death, we do know that no one should ever die in jail. Because this jail has already killed so many, and before it kills even more, we say: No more jail deaths, no more jail. As the Durham City Council attempts to strip jail detainees of their right to in-person visitation with their loved ones, we are speaking out in defense of in-person visitation rights for jail detainees. Connection to loved ones and the outside world is incredibly vital to the health and well-being of those incarcerated and those on the outside who love them. If these rights are stripped from detainees, there will likely be an increase in suicides and suicide attempts by detainees. We will also be resuming weekly demonstrations outside the jail on Fridays to defend in-person visitation, and we invite those in the community who have loved ones who are locked up to join us outside the Durham County Detention Center.